My interview with writer Walter Kolosky on his new book Follow Your Heart: John McLaughlin song by song – A Listener’s Guide. My first contact with author Walter Kolosky was a simple e-mail response he sent to me upon reading my brief bio on All About Jazz, the on-line jazz journal, where both of us were contributing reviewers. I had put a line in my bio stating how my first exposure to the Mahavishnu Orchestra in 1971 was undoubtedly the most awe inspiring performance I had ever witnessed. 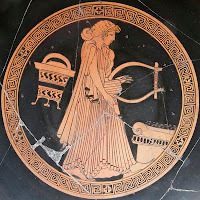 As it turns out almost forty years later it still holds that place of distinction in my heart. Walter, seeing a kindred spirit, wrote simply “…any fan of John McLaughlin is a friend of mine.” So began a mutual awareness that has continued over the last several years. When Ted Goia was forming jazz.com, we were again brought together as reviewers for that noble, but short-lived experiment in online jazz reporting. Ted distinguished himself from other editors, by astutely choosing to focus on the review of individual tracks, allowing the reviewer more ink to express what made a particular song or recording of that song something to be savored. I soon discovered that Walter became the de-facto expert on all things John McLaughlin on jazz.com. I also had an opportunity to read his first book "Power, Passion and Beauty" , undoubtedly the most authoritative book ever written about fusion’s premier super group, John McLaughlin’s Mahavishnu Orchestra, which as a fan I found thoroughly entertaining. When Walter e-mailed me recently that he had completed a new book and would like me to review an advanced copy, I was naturally enthusiastic and flattered. His book Follow Your Heart: John McLaughlin song by song – A Listener’s Guide is an enthusiast’s guide to virtually every song ever recorded by the talented guitarist. As a sometime guitarist myself, I found the detail incredible.Walter’s dedication to his subject is tantamount to religious zealotry. After reading this listener’s guide, I thought it would be interesting for my readers if Walter would answer some of my lingering questions. RAM: Walter, I just finished your book and I must commend you for the excellent job you’ve done in chronicling John’s amazing body of work. The previously unpublished photos, which you include, add so much to the overall appeal of the book. How long did this book take you to complete and how were you able to gather so many great photos? WK: First, thanks for the kind words. I started the actual writing in April of this year, but you could say I have been writing this book for many years. I certainly had a head start being a lifelong fan and chronicler of John’s music.... I was also influenced by many readers of Power, Passion and Beauty who wrote to me that one of their favorite things to do was to listen to certain Mahavishnu tunes while they read about them. I am so pleased you like the photos.... I am grateful to everyone who took the pictures and to everyone who helped me obtain the rights to them.... Many of the images have true historical value. RAM; You are an unabashed fan of McLaughlin and it clearly shows, but I am impressed by your inclusion of what you don’t like in his repertoire. You are clearly not a fan of his use of the synthesized guitar. What turns you off so much about his forays into the outer limits of electronica? WK: It is impossible for me to like everything John McLaughlin has done. I am human. Besides, my credibility would be shot to holes if I enjoyed every single nugget he has offered. ..., only in the last few years have I begun to appreciate some of John’s synthesizer work more. I think I am like many other fans who want to hear John’s articulation in a straightforward way and not in a processed digital manner. In the process of writing Follow Your Heart I changed my mind somewhat because I have determined that there is a silver lining to much of McLaughlin’s synthesizer material. I think his composing has been overshadowed by his guitar virtuosity. In some ways when you can’t quite figure out what sound is John McLaughlin, you can focus more on the quality of the composition. RAM: You make some definitive claims in this book I’d like to ask you about a few of them. What makes this album receive this highest of honors? WK: Birds of Fire was the Mahavishnu Orchestra at its apex. Since they were the greatest jazz fusion band that ever was – this album was the greatest jazz-rock album ever made. Again what in your mind makes this song the greatest? WK: It is the one tune on which all five members are allowed to stretch. Generally bassist Rick Laird performed the important task of holding the band together by supplying a strong and steady foundation. But on “One Word” he takes a wonderful solo that hints at further things he could have done. RAM: Have you ever asked John what he considers his greatest single achievement? WK: No, but I bet you it would have nothing to do with music. RAM: • You mention that John’s composition “Stardust on Your Sleeve” from his Belo Horizonte album is “…the most stunningly melodic song John McLaughlin has ever written.” He is obviously capable of gorgeous melody in his writing, why do you think he prefers to write more rhythmically challenging compositions that eschew melody for complexity and speed? WK: Well, first I would actually say I don’t know what he prefers to write. And, quite frankly, I don’t know that I agree with the premise of the question. I write about 298 songs in Follow Your Heart. There is no doubt, as you say, that much of that music is rhythmically challenging. However, I would point out that most of those songs possess strong melodies. They may not be the type of melodies that people were used to, but the themes, at least to me, have always resonated. RAM:• You write in a passage explaining his Live at the Royal Festival recording “John McLaughlin loves drummers.” I recently saw him in concert with his latest group The Fourth Dimension and it was obvious he loved to see dueling drummers. I watched him prod keyboardist Gary Husband to the drum kit and intoa veritable duel with drummer Mark Mondesir. Dennis Chambers, Vinnie Colaiuta and now Mark Mondesir. RAM: In your conversations with John, did he ever intimate who he thought was the most sympathetic drummer that he worked with in his career? WK: John doesn’t talk that way. I mean he doesn’t say “my favorite” drummer or bassist or anyone. As he says in the book, he likes people. So, I think the most important aspect for him is to like the person. I think that is everyone’s goal really, don’t you think? Obviously, he develops a different rapport with everyone. RAM: After all your extensive research, do you have an opinion about your favorite McLaughlin drummer? WK: Ralph, that is a most difficult question. My favorite drummer in Lifetime was Tony Williams and my favorite drummer in the original Mahavishnu was Billy Cobham. I think Zakir Hussain was the best drummer to have in Shakti and that Dennis Chambers was perfect forThe Free Spirits and The Heart of Things . You see? McLaughlin’s projects have been so disparate that I just can’t say I prefer one drummer over another. I have loved them all! RAM: Under your section on McLaughlin’s “Que Alegria” you state “McLaughlin is always trying to find the sounds he hears in his head and he’ll try anything to get them.” You stated in several instances how you sometimes winced at his choice of tone or how his synthesized guitar was sometimes indistinguishable from other accompanying instruments. Do you feel John’s music has suffered from his fondness for trying the latest electronic effect? WK: I did ask him one time if he ever thought technology was influencing how he approached his music. For instance, if he had a new synth that made a sound like an elephant – would he feel he needed to play that sound? (That is not the example I used with John.) He absolutely dismissed this notion. I just have to believe him. I want to be clear about my own view of the synthesizer. I was always impressed with how John forged ahead with the new technologies. But, given my druthers, I preferred a sound, a tone, an approach that sounded like it came from an actual guitar. I sometimes missed the attack. 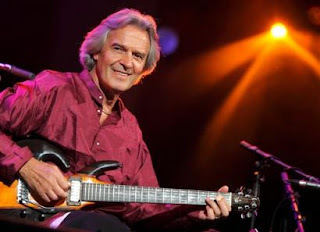 John McLaughlin is very much aware about the misgivings some fans have had about some of his tone choices. However, he must follow his muse. There is no doubt in my mind that someday his trailblazing work will be the subject of scholarship. Jerry Goodman, Jan Hammer , disagreements with Al Dimeola and Jean Luc Ponty, and a deserved beef with Jaco Pastorius and most surprisingly and a twenty-five year spat with drummer Billy Cobham. WK: Well, I think when you look at the record, McLaughlin has not had that many spats compared to the hundreds of musicians he has interacted with. It is just that the tiffs happened to be with some famous people. I am happy to say that most of those issues are over and these musicians have reached out to each other in some way. Music, like any art, is full of strong-headed individuals who have distinct visions. When you combine artistic ideas with business, horrible things can happen. The artists who manage to make it through the minefields unscathed are rare. Allan Holdsworth, Pat Metheny and /or John Scofield? WK: That is some list. Each one of those guitarists holds McLaughlin in the highest esteem and the same is true in return. Comparisons can be useless as each of these players has a distinct style and approach.. But, I think I could say what sets him apart is that he has been a driving force in several different genres of music. Metheny has even written about this. McLaughlin helped lead the way for jazz fusion, world music, acoustic guitar appreciation and synthesizer guitar movements. It is really quite an accomplishment when you consider it. RAM: Walter as a fan who was first blown away by the Mahavishnu Orchestra in its first iteration many years ago, as was I, is it possible for John to ever be able to meet the expectations that this first band created for many of us? RAM: I detect from your writings that despite your respect for the many paths John has taken with his music, you prefer the slash and burn, stunning virtuosity that was a hallmark of his early career. Is this accurate? What is your favorite recent album and why? To The One. I love its slurring energy and the spiritual aura, in both a secular and non-secular way, which permeates it. It is a masterpiece. RAM: Need I ask what your all time favorite McLaughlin album is and your favorite song? WK: I would be lying to you if I could say which album was my favorite. It would depend on the day of the week, the hour on the clock and my mood. My favorite song is still “One Word” for the reasons I told you before. I think one of the things Follow Your Heart will do is to make listeners reassess their favorite tunes and even change their minds back and forth. My goal is to make people realize we are dealing with one of the greatest guitar players ever, who just happens to be a remarkably important composer as well. RAM: Thanks Walter. As far as my own observations, John's considerable composing talents were reintroduced to me recently when I reviewed the HR Big Band with Billy Cobham playing the "A Meeting of the Spirits: A Celebration of the Mahavishnu Orchestra" . The music continues to inspire young musicians and fans alike. To some degree I think John and the first Mahavishnu Orchestra was like a convergence of five comets colliding together at one particular time in space. This fortuitous union created a supernova in my music world never to be repeated. It also happened at a moment in time, for me at least, where I was particularly receptive to the message and unabashedly embraced it. Despite John’s ceaseless journey to free himself from the confines of that glorious achievement, he will always be inextricably tied to it and for many of us may never be able to surpass it. any way diminish what he has subsequently so valiantly pursued. Part of that pursuit is excellence, a goal few of us achieve to the extent that he has in both his playing and compositions. He continues to inspire loyal fans and a global bevy of musicians with his beautiful and complex music. For a perfectionist like John, who in the final quotation of Walter’s book states “ Just so you know- I never stop.” , his continuing quest is a solely personal journey. He generously offers us what he discovers along the way. We can choose to embrace or reject the offering as we like, but it is of little consequence to his own primary goal of following your heart. Walter's book is available on Amazon or Abtract Logix through these links. Reviewing Dave Liebman's Big Band live on "As Always"
Taking a big band on the road is an awesome undertaking, both financially and logistically. The days of the working big band ensembles, like the Ellington, Basie, Kenton and Herman orchestras, have long since become economically unviable. Once in a while, someone will attempt to assemble a group of talented musicians to do a limited engagement tour. These engagements, for those of us who love the powerful sound and expanded palette that a really fine big band can bring to the music, are rare opportunities to be savored. They provide a glimpse into an era when these wonderful large ensemble groups ruled. "Ten Wheel Drive” before landing a pivotal position with Coltrane drummer, Elvin Jones, in his early seventies group. Later, Miles Davis took notice and hired Liebman from 1970 through 1974. Liebman later formed the progressive group “Lookout Farm” with pianist Richie Beirach. Dave has one of the most emotive voices in jazz on the soprano saxophone. 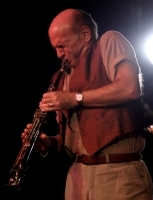 Now at sixty four, after four decades of mastering his art, comes a “live” album of Liebman's music and featuring the saxophonist as the star soloist. Arranger Andrew Rathburn, starts with a piece that Liebman calls a “very basic composition”, the ebullient “Brite Piece” This was one of the his earliest compositions, first recorded in 1972 on Elvin Jones “Merry Go Round” album. I have always been fond of this jaunty and joyful piece from the original album, which featured Liebman and fellow saxophonists Joe Farrell and Steve Grossman. For those who haven’t heard this it is definitely worth a listen. On this “live” version, a fairytale like introduction, skillfully arranged by Andrew Rathburn, leads into the catchy vamp and Liebman’s dancing soprano. About a third way into the song, Liebman takes flight in a most expansive way. He emotes voice-like cries, as the band pulses behind him in a powerful performance. “As Always” is from his days with the pianist Richie Beirach and their group “Quest”. The pensive waltz is well suited to the expansive arrangement that Pete McGuiness's deft use of the multiple horn format allows. 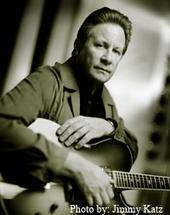 Vic Juris’s guitar work is notable for the subtle contributions he adds throughout. On “Anubis”, arranged by Scott Reeves, the combination of Liebman's haunting wooden flute and Charles Pillow’s snake charming oboe,evoke the sounds of the Middle East. Juris is able to adjust his guitar sound to almost simulate an ancient Egyptian kithara, the ancestor of the modern guitar. Jim Ridl’s synthesizer is appropriately exotic before we return to the wails of Liebman’s eerie wooden flute and a nice alto-flugelhorn solo by Reeves. 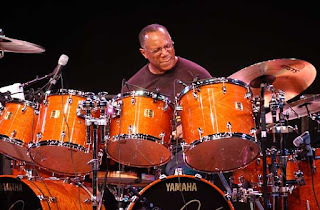 The contemporary sounding and seriously swinging “New Breed” ,is another composition that found its genesis during Liebman’s Elvin Jones’ days. The bassist Tony Marino offers a strong intro while Ridl heats up on piano over drummer Marcinko’s swing, then Liebman soars on soprano. Arranger Reeves, directs his strong reed and brass section into a taught, but sinewy swing throughout. The multiple soprano saxophones give the band an unusual, higher pitched sound and Reeves uses it well. Liebman is at his most freewheeling here and the band responds accordingly. By Dave’s own admission “Phillipe Under the Green Bridge” is one of his more chromatic compositions. Here the interplay between Liebman’s soprano and Pillow’s oboe is like a dance between mythical fairies. Arranger Mossblad's sensibilities are well suited to portray the brooding classical sense of this composition. Liebman winds his way through a circuitous course as his rhythm section keeps time and the horn section builds tension with ever-increasing urgency. The final tune is titled “Turn it Around” and is arranged by Guri Agmon. Leading off with a rolling tom solo by Marko Marcinko, this composition features some nice synchronous playing between Liebman’s soprano and Juris’ electric guitar with a decidedly Mahavishnu flavor finding its way into the mix. Liebman pours out his best rapid-fire soprano solo of the set as the band pulses behind him. Juris adds some bluesy riffs for good measure before they take it to the coda. While nothing can replace witnessing the power, excitement and precision generated by a really good big band first hand, The Dave Liebman Big Band “live” performances on “As Always” is as close as you can get to actually being there. Trombones: Tim Sessions; Scott Reeves (including alto flugelhorn); Sam Burtis; Jeff Nelson (bass trombone). Vic Juris (guitar); tony Marino (bass); Marko Marcinko (drums).